WHAT: Cosmic bowl party. Tickets for this event can be purchased by calling 732-3556. Volunteers and riders are needed for United Cerebral Palsy’s therapeutic horseback riding program "Saddle Up!" for children with special needs. Held at Cobblestone Farm in Springfield, this program will give medically fragile kids the opportunity to grow and develop through fun therapy with horses. Saddle Up allows volunteers a variety of positions from working with riders and horses to administrative duties. No experience with horses is necessary. Volunteers will be trained on all aspects of Saddle Up’s activities and programs. Volunteers must be at least 14 years of age or accompanied by a parent. Saddle Up benefits children with disabilities by strengthening muscles, improving posture, coordination and joint mobility. Saddle Up also allows children to develop self-esteem, build self-confidence and improve their concentration and self-discipline. The six-week session begins Sept. 5. A second session will begin Oct. 17. Sessions are every Monday and Wednesday. For more information about Saddle Up or to volunteer, call UCP of Land of Lincoln at (217) 525-6522. Live music Friday and Saturday nights will feature the Robin Crowe band, Exit, Easy Money and various other artists. There will be food and assorted vendors, a poker run, bike show, and field events. Primitive camping and limited camper spots are available. The hosts say, "No kids, no pets, no golf carts or ATVs (three- or four-wheelers). Absolutely no one allowed without proper ID (if the cops won’t accept it, then neither will we)." Directions: Take Interstate 55 south of Bloomington to the Shirley exit. Go south on Old Route 66 about a mile. Watch for signs. There is an admission fee at the gate. For additional information or advance tickets, contact your local East Central Region chapter; a Heart of Illinois ABATE officer; or Debbie Carr, (217) 935-4253 or (217) 972-6186. The sixth annual Torchlight Gala & Auction at the Henson Robinson Zoo will be from 6:30 to 10 p.m. on Saturday, Aug. 25. The zoo is at 1100 East Lake Drive, Springfield. The auctioneer will be Darrel Adcock. The evening also offers silent auction tables, dinner by Jimmy’s Sub Shop and music by the Jane Hartman Trio, sponsored by Illinois National Bank. The event is sponsored by the Springfield Zoological Society. Call the zoo, (217) 753-6217, for more information and to reserve tickets. Civil War dancers are scheduled to give demonstrations at the Postville Courthouse in Lincoln on Sunday, Aug. 26, from noon to 3 p.m. The group will give educational lectures to go along with the dancing and will teach others to dance as well. 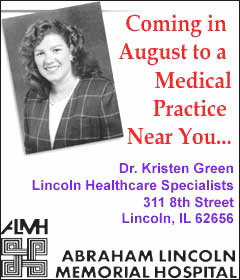 A practice session will be at 7 p.m. on Thursday, Aug. 23, in the back yard at 633 W. Elm St. in Mason City. Please call or e-mail Bonnie at (217) 482-5821 or bjknieriem@hotmail.com if you will be able to participate in the demonstration. Keep watching for further opportunities. The American Red Cross has increased blood collections each year for the past four years, but the need for blood is outpacing the supply. Year-to-date collections are 1.9 million units more than this time last year. However, medical advancements such as liver transplants, cardiac surgery and treatments for premature babies require more donations every day. 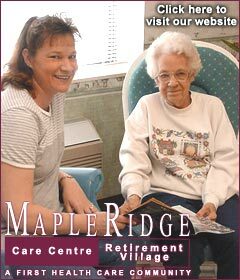 Thirty-eight percent of all blood products used today are for people 65 and older. The blood supply is extremely fragile, and the Red Cross will not diminish its efforts to continually recruit new and repeat donors. In the past four years the Red Cross has collected nearly one-half of the nation’s blood supply, providing more than 14 million blood products to more then 3,000 hospitals nationwide. To give blood, you must be in general good health, be at least 17 years old, and weigh at least 110 pounds. The Red Cross especially needs type O donations, the universal blood type that can be safely transfused to any patient during an emergency and is always the highest in demand. Click here for information on local blood drives in August. NAPA Auto Parts sponsored blood drives at the Lincoln Sports Complex on Aug. 1 and 15. Another blood drive will be at the Mount Pulaski Christian Church on Aug. 22. The hours will be from 11 a.m. to 5 p.m.
During July, the following people reached goals in their blood donations: Glenn McCrea and Connie Haseley, seven gallons; Robert Pharis, six gallons; Shawn Bertolino, five gallons; Phillip Richmond, two gallons; and Myrna A. Aper, one gallon. On Saturday, Aug. 25, Lincoln Park District will host the 13th annual 5K run in conjunction with the Lincoln Art and Balloon Festival. Race time is 8 a.m. The run begins and ends at the Park District at 1400 Primm Road. Dan Slack, a veteran cross-country record-holder for LCHS, is our race coordinator. T-shirts are given to all participants, and awards are given to the top three finishers in each age category. Refreshments are provided. Registration forms are available at both the Rec Center and the Lincoln Chamber office. Over 200 classic Chevrolets and their proud owners filled the Mount Pulaski square on Thursday, July 5. Almost 600 people toured the Mount Pulaski Courthouse that day. Many went up to the historic courtroom to see a presentation by Don Russell. The Vintage Chevrolet Club of America had their national event that week in Springfield. As part of the activities, the club members visited both Lincoln’s New Salem and Mount Pulaski. Since there were so many cars, they were divided into two groups: pre-World War II and post-World War II. The cars were beautiful and the people friendly. Almost all states were represented and there were visitors from five foreign countries. R. Schachtsiek, site manager at the courthouse, says: "My compliments to Doug Johnson and his hard-working crew for all their effort that day. It was a great day for Mount Pulaski and the courthouse. I also wish to thank Jo Richner and Don Baker for helping at the courthouse that day." Another group, about 20 ladies, visited the courthouse on July 21. They plus all the Chevy club members put July’s attendance at over 700 people. Coming up in September, during Mount Pulaski’s Fall Festival, there will be a special display in the courthouse to honor the 50th anniversary of the Korean War. Richard Teike has helped provide posters and other items used in the display. On Saturday, Sept. 8, from 10 a.m. to 5 p.m. a re-enactor will be present to explain the uniform, equipment and weapons used by American forces in Korea. People are invited to stop in at the courthouse to learn more about America's "Forgotten War." In July the following courthouse volunteers worked 125 hours: D. Aper, D. Baker, M. Borgerson, K. Boyd, D. Brooker, J. Cavestani, A. Davis, M. Downing, H. Fine, V. Harbarger, P. Hawk, M. Johnson, W. Kautz, J. Martin, J. Maske, J. Richner, C. and L. Schahl, D. Smith, E. Stahl, T. and W. Stephens, and C. Van Rheedan. Thursday, Aug. 16, at 1 p.m. the Extension Service will sponsor the nutrition bingo games. Please join us for a "cool" afternoon. Friday, Aug. 17, from 10 to 11:30 a.m. you may have your blood pressure checked at the Oasis. This weekend, Aug. 18 and 19, the Oasis is managing the bingo activity at the fair in Springfield. Please help support our first-time endeavor. Stop by the Illinois Building and say "hi." There are a few openings available for the beginning computer and word processing classes scheduled for Aug. 20 at 1:30 and 2:30 p.m. Call for a reservation. The fee is only $3. Illinois Assistive Technology representative Sherry Edwards will be at the Oasis on Monday, Aug. 20, to discuss technology devices that can help seniors live more independent lives. A few of the featured items are writing aids, magnifiers and communications devices. Please join us at 10 a.m. at the Oasis. The special tour scheduled for Tuesday, Aug. 21, will be at Julie Gerardot’s garden. Departure is at 9 a.m. from the Oasis. There are still a few spaces available for flea market vendors at the Lincoln Art & Balloon Festival. Please call or come in to secure your space for only a $40 nonrefundable registration fee. The Oasis is starting a new project in order to honor armed forces men and women. Please bring materials for display at the Oasis, such as pictures (or copies), newspaper articles and other items in your collections. Daytime pinochle winners were Ruth Aper on Aug. 3 and Madeline Moore on Aug. 7. Friday night game winners were Mildred Newberry for pinochle; Betty Burger, Ann Gregor and Tom Garrison for 5-in-1; and Harley Heath for pool. Sunday night winners were Betty Burger and Henry Warnisher for rummy and Harley Heath for pool. Temperatures in the 90s with high humidity may have slowed visitation at Postville Courthouse in July. Visitors may have thought the historic courthouse would be hot and stuffy, which would be historically correct. However, the courthouse has been cool and comfortable due to modem air conditioning. "So do not stay away because of the heat," says Richard Schachtsiek, site manager. "If you have visitors, you can expect to bring them to tour Postville Courthouse in cool comfort. Over 100 people enjoyed the cool interior and learned about attorney Abraham Lincoln, Postville Courthouse and the 8th Judicial Circuit last month." August will be much busier due to the Lincoln Art & Balloon Festival on Aug. 24-26. Postville Courthouse is actively involved in hosting two special events during the festival. A Porsche-only charity car show will be on Saturday, Aug. 25, from 10 a.m. to 4 p.m. About 20 Porsches will be on display. At 3:15 Lincoln Mayor Beth Davis will choose her favorite cars and present three award plaques. During the day there will also be a display of scale-model production and racing Porsches inside Postville Courthouse. The 1800s Craft Fair will be at Postville Courthouse on Sunday, Aug. 26. This popular event, which draws over a thousand people, goes from 10 a.m. to 4 p.m. There will be many returning artisans and craftsmen demonstrating period skills and crafts, such as blacksmithing, wood turning on the "Great Wheel," bobbin lace making, basket making, traditional music and much more. New this year will be Civil War-era dance demonstrations from noon to 3 p.m. Area dancers will demonstrate dances popular in the mid-1800s and ask spectators to join in. Another new activity will be Lee Slider performing as "Phineas Fairhead, Practical Phrenologist." If you do not know about phrenology, come by Postville Courthouse and learn about it. R. Meyer, H. Oltmanns, M. Ott, W. Post, D. Short, M. Smith, L. Snyder, R. Sullivan, G. Wibben. [AUG. 3, 2001] Benefits to help Bob Spickard and his family pay off their legal expenses will be on Aug. 11 and 18. Friends of Spickard, who is facing $17,000 in legal fees for his defense of a criminal suit in which he was found not guilty, have formed a committee to help the financially burdened deputy. On Aug. 11 at the Eagles Lodge here in Lincoln, a day of events will help raise money to pay off the deputy’s legal bills. The activities will include a bake sale and auction at 1 p.m. as well as an evening dance at 7 with DJ Joe Hackett. Joe has one of the largest libraries of music in the world, and he has an excellent reputation for playing what the crowd likes. Admission to the dance is $2.50 per person. The next weekend, on Aug. 18 from 6 to 8 p.m., there will be a cosmic bowl party at Logan Lanes. Tickets priced at $10 per person will have half of those proceeds going to the Spickard fund. Call 732-3556 for tickets for this event. 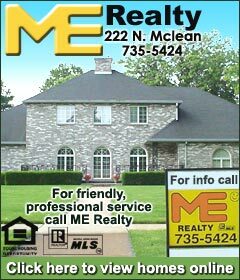 [AUG. 9, 2001] When Stuart Wyneken was a boy, his father, an administrative assistant for Lincoln College, would allow Stuart to accompany him as he oversaw the construction of a number of new campus buildings. P.B. Johnston and his wife, friends of Stuart’s grandparents, had donated the funds for the construction of one of those buildings, a new center for the performing arts on the college’s campus. Little did Stuart know that the very site of that new construction where he idled away his summer vacation in 1970 would be the place where he would spend his summers for the next 30 years. 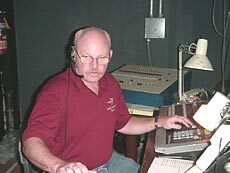 The summer of 2001 marks not only the 30th anniversary of Lincoln Community Theatre, but also the 30th consecutive year for Wyneken’s service as the lighting designer and technician for LCT productions. Announcing his retirement from both the LCT board and the LCT light booth at the end of the summer, Wyneken looks forward to having future summers available for family and other interests. The first 19 years with LCT, he was a bachelor and had to answer only to himself. Things changed in 1989 with his marriage. For the next 11 years, when June rolled around, Wyneken’s wife, Kim, would say, "See you in August!" Wyneken had just graduated from high school when Lincoln Community Theatre was formed. 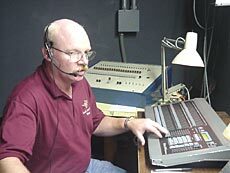 He had been the student lighting chairman at Lincoln Community High School when a group of students were recruited to get involved with the first LCT performance. His knowledge of lighting was self-taught, primarily from observing upperclassmen operate an old resistance dimmer board for school productions. The dimmers were operated using large wooden levers, and Wyneken remembers when electricity would arc and spark when the levers were pulled. It took three students to operate the board during a show, and blown fuses would have to be changed "on the fly" while the production continued. The "new" 16-dimmer light board available at the Johnston Center for the Performing Arts was more sophisticated than that at the high school, but in today’s view would be considered quite simple. In those earlier years, Lincoln College’s technical director Mickey Benson would provide training when newer equipment was added. Serving as lighting designer and technician can be a time-consuming and demanding job. The preparation begins with reading the script to get a general idea of the lighting requirements of a show. After meeting with the director and set designer to discuss their views of lighting needs, the lighting technician must attend early rehearsals to understand how the actors and set pieces will be blocked on the stage. A light plot is then created, which serves as a blueprint of electric strips that the lighting instruments will hang from. Different colored gels are cut to fit each lighting device to help create different lighting effects. Next, whatever lighting system is currently hung in the theater must be entirely stripped, and the newly designed lights must be rehung and plugged into the appropriate circuits. All of this is accomplished by lowering light bars or crawling across a catwalk hung from the ceiling of the theater. After being circuited, the lighting instruments are plugged into the dimmer board. About eight years ago, Lincoln College purchased a new, computerized light board, which allows the storage of up to 130 light cues. The original board Wyneken used required every lighting effect to be done by hand during each production for each scene. With the computerized system, the settings for the desired effect can be predetermined and programmed into the computer. The lighting technician then needs to merely push a button for the complex lighting direction to be achieved. The job of lighting technician has traditionally also included any special effects necessary for a production. 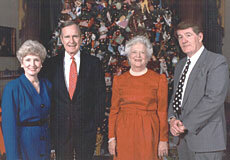 Wyneken says, "Over the years, I have been privileged to be allowed to use various special effects. The 1987 production of ‘The Wizard of Oz’ was probably the first of these. For that show we constructed our own flash pots, used CO2 fire extinguishers and various other ‘homemade’ items for the wizard. It was also the first time the trap door to the lower level was used for melting the witch." How appropriate that his current and final production, "The Wiz," an updated version of that same play, with its robotics lighting system, is probably the most technically advanced show he has ever attempted. Getting to work in the Lincoln Theatre building in the 1980s was one of Wyneken’s career highlights. "This is a marvelous old building and the epitome of vaudevillian theater," he says. "Being able to use their fly system and the footlights was indeed a real treat." Though he is leaving the LCT board, he is assuming new duties as a board member of the newly formed Logan County Arts Council. One of his goals is to see the complete restoration of the Lincoln Theater building in downtown Lincoln to its original 1923 condition, with the exception of the installation of modern lighting, sound and stage equipment. Talks are already underway with the GKC Cinema Corporation in hopes of acquiring the facility when their new complex is completed. This building, in turn, he hopes will become a future home of Lincoln Community Theatre and other area art organizations. Though Wyneken states that he certainly won’t miss the long hours at the theater, climbing ladders and catwalks, and cantankerous directors, he wouldn’t trade his years with Lincoln Community Theatre for a thing. He says that he will miss the people he has met over the last 30 years, as well as the luxury of watching a good production every night. With the time to relax and enjoy summer activities without having to rush back for a show, Wyneken states that he still "loves being able to create a mood for a show." He adds, "I will miss what I know I can do." Lincoln Community Theatre recognized Wyneken this week by awarding him a life membership in the organization. LCT, too, will certainly miss what they know he can do!